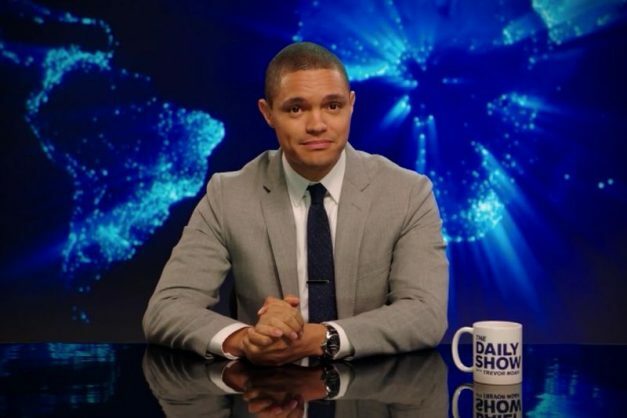 Daily Show host Trevor Noah has shared his experience at his first Oscars attendance and the exclusive after-parties he attended. While there were many after-parties, according to Trevor, the Beyonce and Jay-Z one took the trophy, though he also had the weirdest moment of his life – probably. Trevor chickened out at the dance floor after Usher asked to join in. He said he could not dance with Usher, who is a professional dancer, when he was only there to just “move his body”. DJ Black Coffee was playing at the party, and has since taken to social media to make fun of Trevor for refusing to dance with Usher. Trevor said: “One moment I’m on the dance floor dancing and dancing, DJ Black Coffee was there and he was on the [decks], so I’m dancing and I’m like yeah, South Africans, and then Usher comes to the dance floor and he’s like ‘let’s dance’, and I’m like ‘No! No! No Usher! You’re like a professional. Trevor said his second weird moment was when he tried to get out of Beyonce’s way, when she was actually coming to greet him. “So I turned to move out of the way but it turned out she was coming to say hi to me, but I was moving away from her and she was coming, trying to hug me and say hi. If it never happens again, I’m fine,” he said. Black Coffee shared pictures of the party on social media, and poked fun at Noah. He said Trevor had made the right decision because Usher was a “beast”. Unlike @trevornoah I wasn’t afraid to dance.??? ?